David Brainerd was an 18th Century American missionary of Reformed beliefs. We say American but Brainerd lived before the Declaration of Independence and so, like his contemporaries, thought of himself chiefly as an Englishman. The struggle between the colonial powers of England, France, and Spain raged throughout his lifetime. In his short life, he travelled over 12,000 miles on horseback in that vast north eastern sector of what we now know as the USA. Expelled from Yale College as a young man for making disrespectful remarks about a tutor, he became a pioneer missionary to Native Americans and was a man of great earnestness and prayer. He died from tuberculosis before he had reached the age of 30. This year sees the 300th anniversary of his birth. His name was immortalised by the pen of the great Jonathan Edwards (1703-1758), in whose home he died. When we think of the life of Brainerd we are really thinking of at least two things. On one hand, there is the life of David Brainerd 1718-1747. On the other, there is Edwards’ Life of the Late Rev David Brainerd (1749 to the present). That is to say, there is the actual life of Brainerd but there is also Edwards’ An Account of the Life of the Late Rev David Brainerd published in 1749 and subsequent versions of the story that have continued to have an impact down to the present day. We draw here chiefly on the work of John A Grigg on this subject.1 He quotes Andrew F. Walls, who says, ‘David Brainerd became the principal model of early British missionary spirituality.’2 Grigg demonstrates this. When the Baptist Missionary Society was founded in 1792 a major catalyst for its founding was a book by William Carey (1761–1834). Carey had come to a Baptist church in Leicester in 1789 and that had brought him into closer contact with a circle of Calvinistic Baptist ministers who encouraged him to write about the need for concerted missionary effort. This led to the publishing of An Enquiry into the Obligations of Christians, to Use Means for the Conversion of the Heathens. For Carey, Brainerd exemplified the missionary life. John Ryland (1753-1825) spoke of Brainerd’s diary as ‘almost a second Bible’ to him. Portions of a diary Carey kept, when he arrived in India, apparently in conscious emulation of Brainerd, have survived, and his respect for Brainered comes out there. On one occasion, he acknowledged being ‘much humbled by Brainerd — O what a disparity betwixt me and him; he always constant, I unconstant as the wind.’ A little humorously, he complains on one occasion that he could not pray in the woods like Brainerd ‘for fear of tygers’! In 1795, the London Missionary Society was founded. Its roots are complex and disparate, but at least two of those who contributed to its foundation urged people to look to Brainerd’s example. From 1793, with Andrew Fuller and others, Bogue sponsored the quarterly Evangelical Magazine. Part of every issue was set aside to document the ‘progress of the Gospel throughout the kingdom’ and the magazine soon became a voice for mission promoters. Bogue published a preliminary appeal for missions in the September 1794 issue, and there were frequent reports on the LMS. The fourth volume, in 1796, featured an excerpted version of Brainerd’s life, totalling about 25 pages across three issues. The editors noted that ‘few lives are more interesting than that of Mr. Brainerd.’ They hoped readers would ‘perceive how easily God can provide instruments for his work’ and that his success, ‘in circumstances most discouraging,’ would provide ‘the clearest demonstration that those difficulties which, to us, appear insuperable, instantly vanish at the presence of the Almighty.’ The Anglican periodical Missionary Register did something similar in 1816. When missionary training institutions began to spring up they most frequently turned for instructional inspiration to the writings of the Moravians and the Life of Brainerd. David Bogue’s academy at Gosport, which turned out 40% of all LMS missionaries in the period, included lectures that were mainly based on Bogue’s reflections on the lives of past missionaries such as Brainerd. Of only five books in the Gosport Library, one was the life of Brainerd. Student-led mission societies at Scottish universities encouraged their members to read the Life of Brainerd (along with those of other missionaries) and even to present papers on their readings. Brainerd was frequently cited and referred to by the mission boards. CMS candidates expected to be asked if they had read Brainerd’s Life, and, by the 1820s, the LMS Committee of Examination required candidates to read it along with several other biographies. William Crow was judged to be a good candidate after his initial examination and was subsequently given a copy of the Life and a month to read it and write an essay on his perspective on the ‘character, difficulties, and privations of a Christian Missionary.’ There are also frequent references to Brainerd in the writings of missionaries and mission candidates. Often, these men were challenged by Brainerd’s example of the ideal Christian. The men who ‘held the ropes’ for Carey — Ryland, John Sutcliff (1752-1814) and Andrew Fuller (1754-1815) were as enthusiastic for Brainerd as he. At the end of 1781 Sutcliff wrote to Fuller to know if he can borrow Edwards’ Life. Fuller has to disappoint him not having a copy. Sutcliff obviously did get to read it eventually as it became top of his recommended reading list when anyone asked about missionary work. In May, 1780, at the annual meeting of their association, The Northamptonshire Association, it was agreed to recommend the book to all who ‘love evangelical, experimental, and practical religion, and especially to our younger brethren in the ministry’. most abundantly encouraged by reading D Brainerd’s account of the difficulties attending a mission to the heathen. Oh, blessed be the memory of that beloved saint! No uninspired writer ever did me so much good. 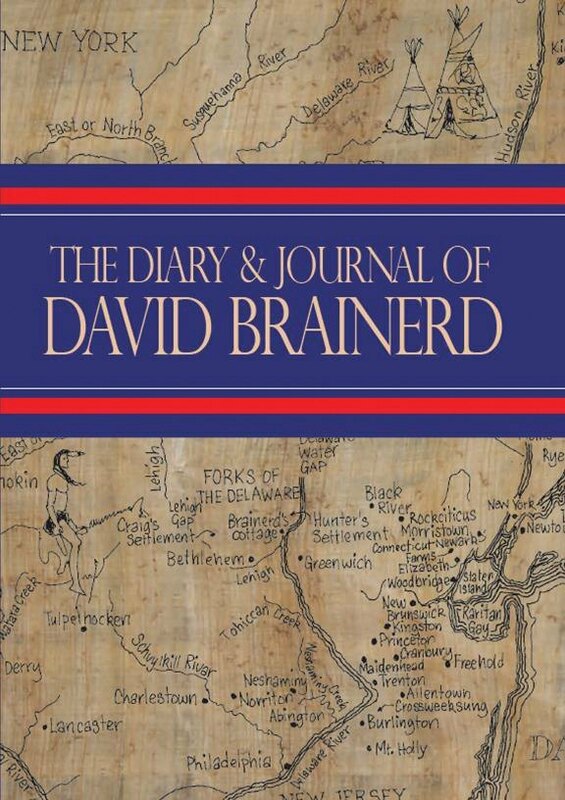 spiritual stir over reading David Brainerd’s diary. If I were honest, my writing would be more in anguish as his is. But how cold I have grown, and how careless about it all. Edwards, John Thornbury tells us, was not the first to make use of Brainerd’s diaries.6 As well as his personal diary, Brainerd composed a journal in which he chronicled the story of his ministry among the Indians. In this he explained in detail Indian customs and manners, what he preached to them and the difficulties and successes he knew. He prepared the Journal for the leaders of the missionary society from whom he received financial help. In 1746 William Bradford (1663-1752) in Philadelphia published these portions for The Society for the Propagation of Christian Knowledge in the Highlands of Scotland and in popish and infidel parts of the world. The extracts deal with his work at Crossweeksung June 19-November 4, 1745; November 24, 1745-June 19, 1746. The account of great revival became an important instrument in stirring up interest elsewhere in missionary work among native Americans. Both in America and in Britain many eagerly read it. It was the private diary, however, that formed the basis of Edwards’ Life. His edition became the standard one, although over the years it has been published many times with various editorial notes and alterations. By 1749 Edwards was already a well-known writer. His first publication in 1731 was God Glorified in Man’s Dependence on 1 Corinthians 1:29-31. Others followed, such as A Narrative of Surprising Conversions (1736) dealing with the Great Awakening, his famous Sinners in the Hands of an Angry God (1742) and Religious Affections (1746). Edwards was about to set to work on his treatise Freedom of the Will when these materials came to hand. (Freedom of the Will did not appear until 1754). It seems the Brainerd project took priority because Edwards saw it as providing an excellent example of the sort of qualities extolled in his previous book The Religious Affections (1746). Perhaps no book by Edwards was to be more significant than his one on Brainerd. If it is true that his treatises were too abstruse to make an impact on the spiritual life of the ordinary person, then his Life of Brainerd represents an effort to reach a larger audience and to teach by example. He draws attention to similarities between Brainerd’s conversion and that of Edwards’ wife Sarah, described anonymously in Some thoughts concerning the revival of religion in New England (1742). He also points out that though the text of Edwards’ biography is largely Brainerd’s ‘the volume as Edwards conceived it belongs to him’. Brainerd’s journal provided not only his own example but that of other conversions, all judged according to the criteria laid down in Edwards’ Distinguishing Marks of 1741. Brainerd in turn undoubtedly influenced Edwards, who spent most of his last seven years working among Native Americans in Stockbridge, Massachusetts. Indeed, David Brainerd dead was a more potent influence for Indian missions and the missionary cause in general than was David Brainerd alive. The Welsh revival leader Howell Harris (1714-1773), we know, was one who was reading an edition of Brainerd’s life in 1761. In England Philip Doddridge (1702-1751) had read Edwards’ work much earlier and was among the first in England to do so. ‘I have been reading the life of excellent Mr. Brainerd,’ he writes, ‘and it has greatly humbled and quickened me.’ He recommended it widely and went on to publish parts of the diary. He also asked ‘What can be done to revive the work of God where it is decayed?’ His answer? ‘Let every preacher read carefully over the life of David Brainerd’. Methodist preachers in those days were all required to carefully read Edwards’ Life. Later, at Princeton Seminary too, the Life was often commended, but without Wesley’s cautions about Brainerd’s failure to understand Christian perfection. When in 1881 Horatius’s brother Andrew Bonar (1810-1892) visited America at the invitation of D. L. Moody (1837-1899) one of things he made certain to do was to visit Brainerd’s grave. Though an admirer, Bonar felt that Brainerd should have looked more to Christ and less to himself. Brainerd’s life is a vivid, powerful testimony to the truth that God can and does use weak, sick, discouraged, beat-down, lonely, struggling saints, who cry to him day and night, to accomplish amazing things for his glory. We worship God not men but here is a reminder of how one life, and more specifically one book on that life, can have a profound effect in the providence of Almighty God. John Elliot (1604-1690) was a pioneer missionary to native Americans. Horton was another pioneer missionary to Native Americans. Page numbers refer to the Yale Edition which reinserts missing entries.